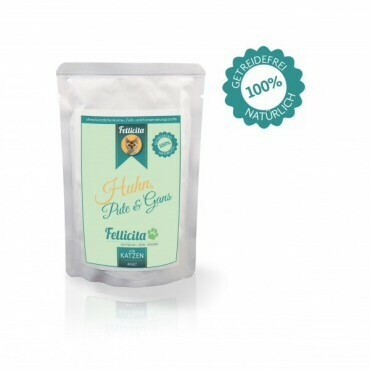 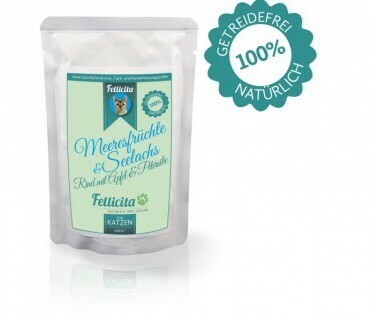 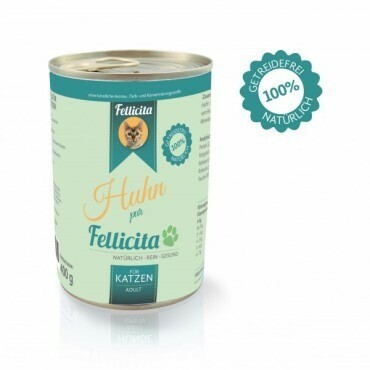 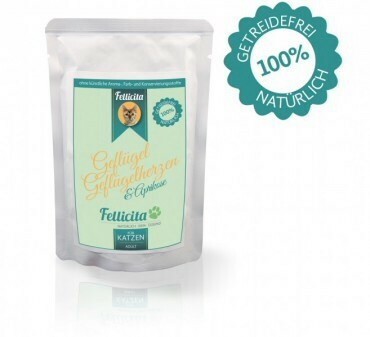 Fellicita ~ the brand for premium quality, vet recommended cat food and snacks from Germany with up to 99% meat content. 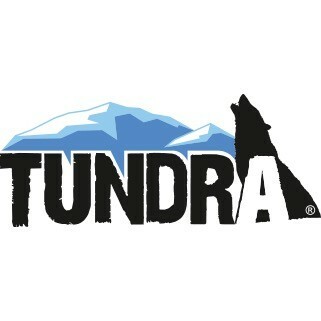 AVAILABLE EXCLUSIVELY in the U.K. only in our store! 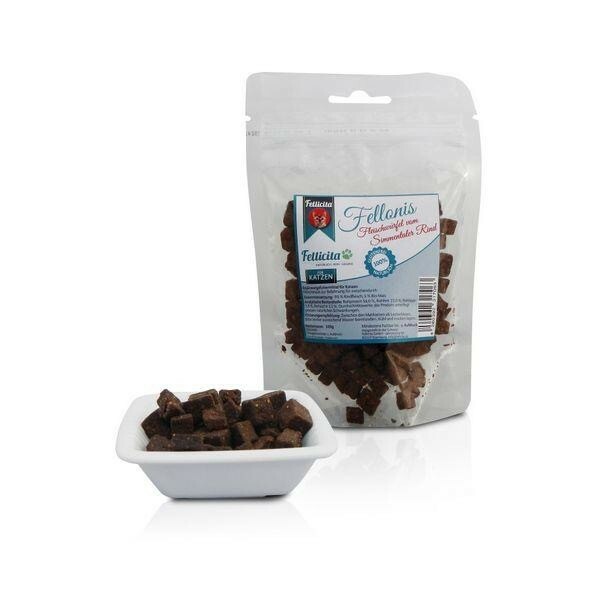 These balanced and complete grain-free foods with fully declared ingredients make an excellent choice for your four-pawed friend. 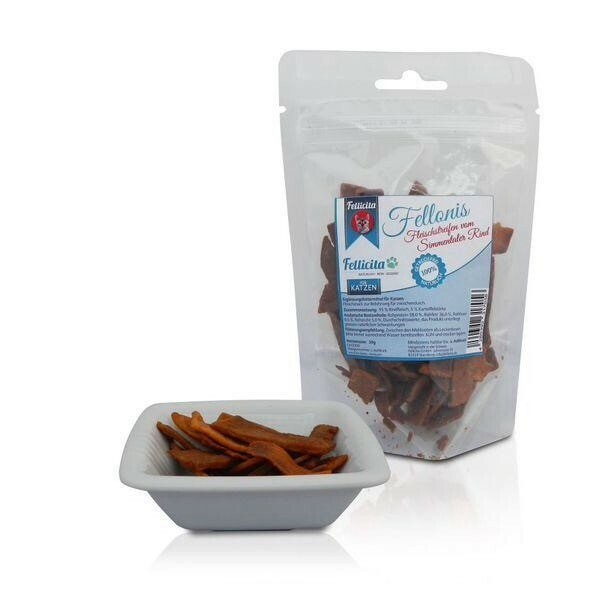 7 exciting flavour varieties including two monoproteins. Pure Chicken and hard to find Pure Rabbit are 99% meat and contain no added vegetables/fibre so are suitable for all cats and kittens especially those with allergies and sensitivities. 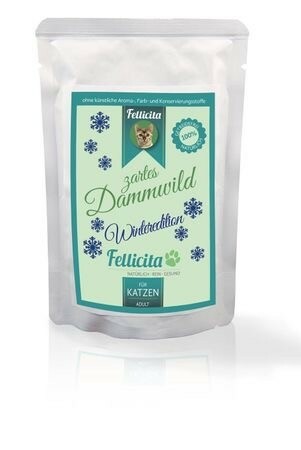 Available in handy 100g pouches and 400g tins. 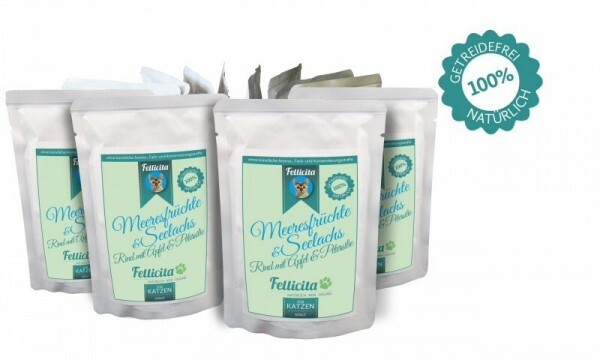 And for when they have been extra good, why not treat kitty to some super tasty, species-appropriate snacks in the form of 'Beef Jerky-for-cats' from Fellicita. 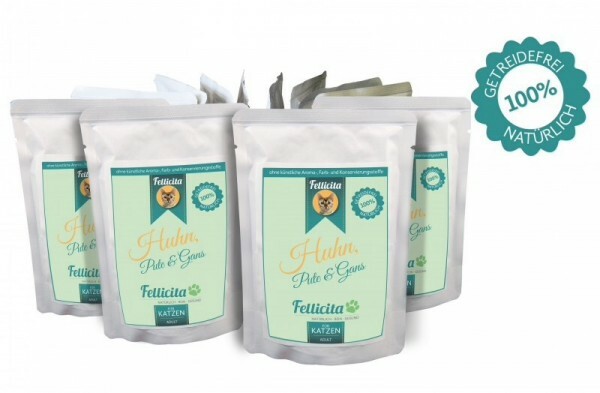 All Fellicita packaging (tins and pouches) is BPA FREE!